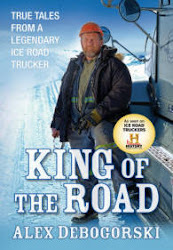 Alex Debogorski 2010 King of the Road Book Tour: We made it! Just a quick note to thank all the people who honked, hooted, waved, and snapped photos while we sailed the behemoth Red Giant over the George Washington Bridge and eventually through Times Square. What a sight. 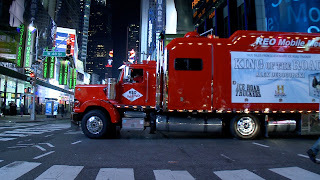 The truck is now parked at 48 Street and 6th Avenue, looking absolutely out of place and amazing. Sweet relief to have gotten the truck into the city. Alex will be on Fox and Friends in the morning (Tuesday) between 8:15 and 8:30. Should be good for a few stories and a few laughs. Time to catch some zzz's. Will you be posting clips? We want to see them! I'm glad you're planning a stop in Okemos, MI - it's just about 30-minutes from my home. I'll be sure to try & stop by. Godspeed!